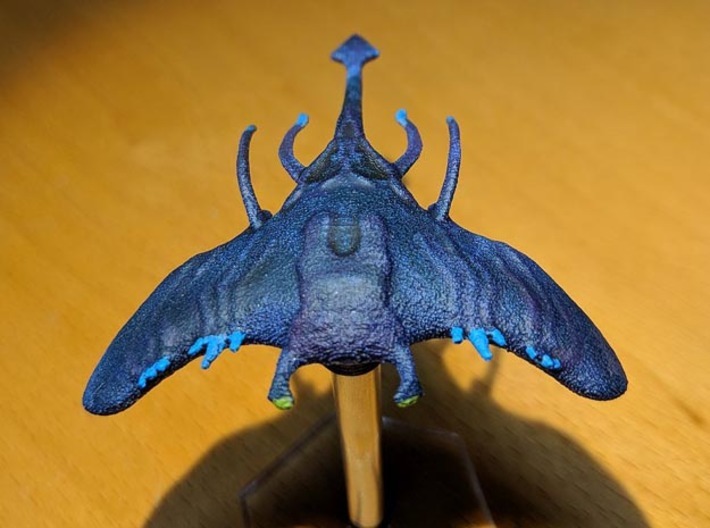 Space manta painted by a fan. Stand not included. Hiding inside some large nebulae are space mantas, powerful monsters with a fearsome habit of destroying ships. Captains never know if the nebula they are exploring contains one or more of these beasts. Space mantas are not that fast, but they can use short bursts of speed to close with a target. 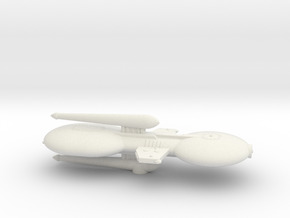 While they have rapid-fire defenses against seeking weapons and use their parasites as a form of seeking weapon, their primary weapon is a stinger which will destroy any ship (even a battleship) if the space manta can reach point-blank range. Captains are trained to keep their distance and destroy these beasts with long-range fire, but it is usually better to just leave them alone as they soon tire of chasing a ship not firing at them. 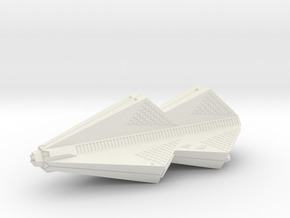 The small space manta is about 2”; the medium space manta is about 3”; the large space manta is about 4”. 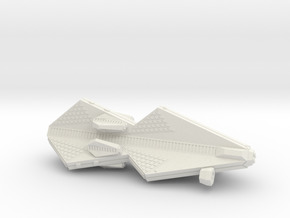 The space manta is available in a variety of materials. 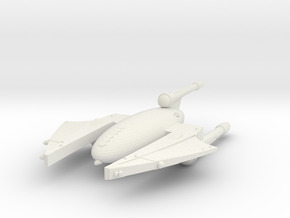 It is unpainted, uses a standard flight stand (available from many sources), and, while designed for gaming, would make a fine display piece.